Trying to define love is so difficult. If you’re married or dating, you know through experience that romance is a wonderful part of your loving relationship. We also know that some times in life, especially when the relationship is first beginning, where a love between two people is more romantic. 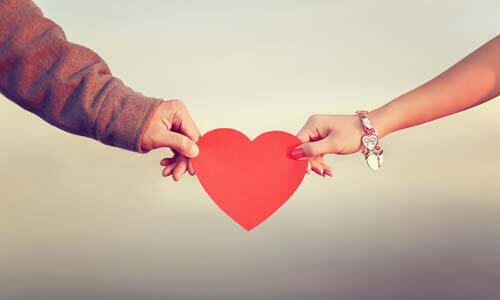 May is a great time of the year to rekindle the romance of an early courtship, and reconnect with your loved one on a more intimate level. As you take steps to rekindle your relationship, take time to think about what first attracted you to the one you love. What is your idea and your loved ones idea of a perfect romantic evening? While spontaneous romance is great, a well-planned romantic interlude takes more thought and energy to come up with a plan. Shake things up a little. Plan to do things that will convey to your loved one how special they are to you. Buy flowers — without an occasion. Write “I love you” notes, and leave them in places where your special person will find them. Most of all, speak lovingly to and about the person you love. Lavish praise on your significant other, and tell them what makes them so special to you. Rekindling the romance that drew you to the person you love is a great way to start out the summer. Remember, planning takes time. Writing things out for you to do will help you accomplish much more — and by the way, if there are young children around, watching what you do to convey your love, they will learn, as well. Your actions, in such regard, will strengthen your entire family.